FC Barcelona striker Neymar has been in dazzling form in recent matches, never more so than in Sunday’s 4-1 win at Las Palmas in which he scored his first hat-trick away from home for the blaugranes. 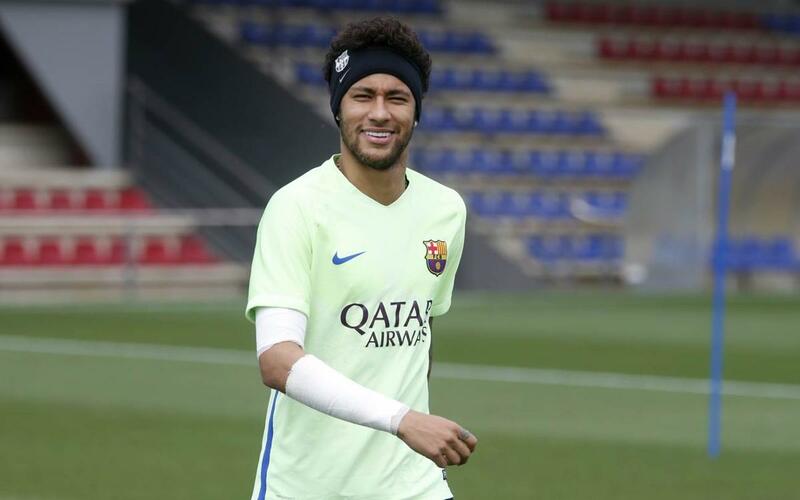 In an interview with France Football, Neymar revealed that he is more than happy with the way he has played since the start of the campaign. “It’s an excellent season for me. I think it’s my best since I arrived at the Club. I am scoring goals and creating goals,” admitted the Barça number 11. The Brazilian international also touched on the most iconic moment of the season so far, the breathtaking comeback in the Champions League at Camp Nou against Paris Saint-Germain. Neymar’s will to win meant he never doubted Barça could come back against the French side, even after Cavani’s goal in the second leg. “I have a winner’s character. I don’t like to lose. Against PSG, it was an unusual match. We were almost out and we achieved a miracle with the three goals in three minutes to get through. It’s one of the best memories of my career. I will always remember it,” said Neymar of the amazing 6-1 victory in the last 16 of the competition. Neymar also reiterated his belief that Barça is the best club for him. “What I want is to play with the best in the world and Leo Messi is the best player in the world. This year I have felt really good,” concluded the Brazilian.